What is the Pre-Trib Research Center About? At the next year’s meeting, December 1993 in Dallas, The PTSG elected Dr. Ice to become full-time Executive Director of the newly formed Pre-Trib Research Center (PTRC). The PTRC was conceived by Dr. LaHaye for the purpose of encouraging the research, teaching, propagation, and defense of the pretribulational rapture and related Bible prophecy doctrines. PTRC began functioning in the offices of Dr. LaHaye’s Family Life Seminars in Washington, D.C. in March 1994. The office over the years has moved around to wherever Dr. Ice has resided. Currently the Center is located at Calvary University in Kansas City, MO where Dr. Ice teaches on faculty. The PTRC has sponsored the annual PTSG meeting in December of each year. This year’s meeting in Dallas will be the 27th meeting of the conference. The Pre-Trib Research Center is involved with most of the top prophecy scholars, authors, and popularizers who are members of the Center and Study Group. The association of these prophecy experts, which have been facilitated by the Pre-Trib organization, has contributed to the inspiration of dozens of books, articles, conferences, movies, and events that express and defend the literal interpretation of Bible prophecy and the pre-trib rapture. PTRC and the Study Group have worked to bring together veteran prophecy experts to share their knowledge and encouragement concerning these matters to a younger generation of students and advocates. In this way the torch is being passed to a new generation. Dr. LaHaye and Dr. Ice, along with others associated with PTRC, have produced an impressive amount of literature that further the cause of pretribulationism and the literal interpretation of Bible prophecy. The PTRC is also involved in speaking at prophecy conferences and churches, producing key audio tapes, and now with the advent of this Internet site, providing various materials here as well. 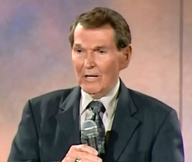 Dr. LaHaye went home to be with the Lord July 25, 2016 at age 91. 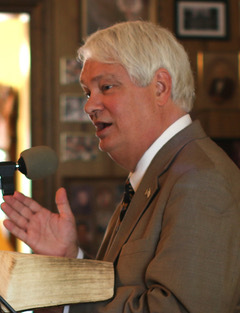 The PTRC continues to pursue the goals he originally established for the Center.